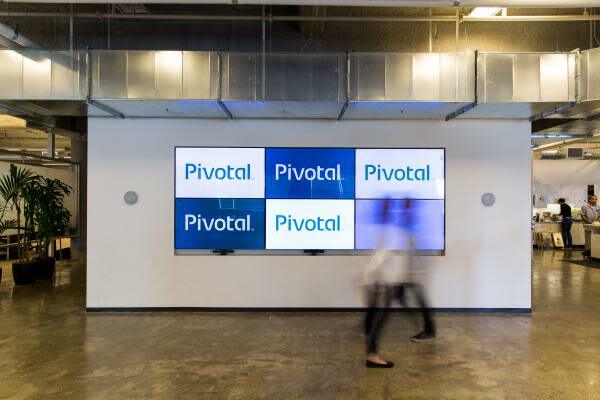 Notwithstanding Pivotal's mixed fourth-quarter results, all-important subscriptions grew 50 percent year-over-year and billings climbed 20 percent and exceeded expectations, Ives said in a Friday note. The negative stock reaction to the conservative first-quarter and fiscal 2020 guidance is "nearsighted," the analyst said. Ives cited an underlying subscription story that's humming into FY20; healthy net expansion rates; and conservative April quarter guidance as supporting his bullish view. "However, we also like PVTL's exposure to the digital transformation theme and see a sizable revenue opportunity ahead." The FY20 outlook appears healthy, with subscription guidance in the range of KeyBanc's estimate, Kurtz said in a Thursday note. "We continue to see upside to our $27 PT based on 7x EV/revenue (FY21)," the analyst said. Photo courtesy of Pivotal Software.